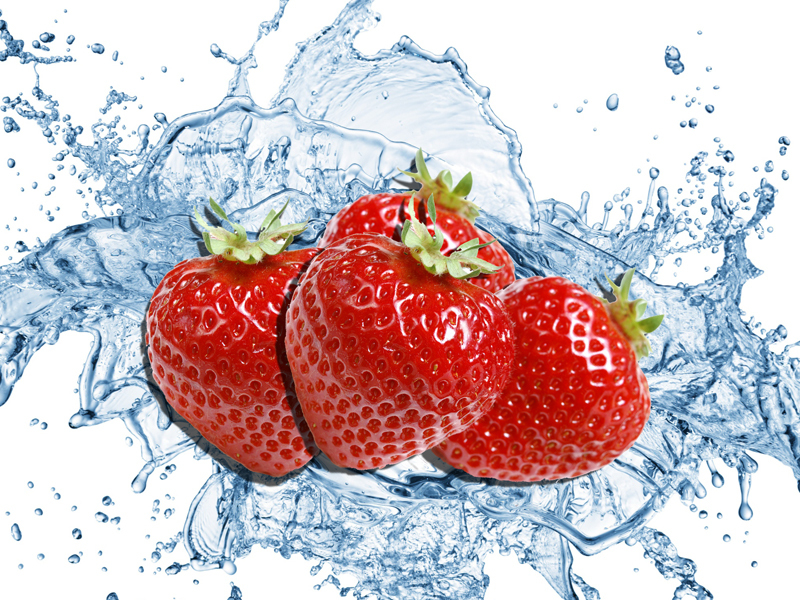 Aussie Natural > Blog > Stay hydrated – Eat your water! Quenching your body with water is essential in keeping well hydrated and flushing out toxins or wastes that the body does not need or want. When water intake does not equal your output – urination, sweating, strenuous exercise and even high altitudes, may cause you to become dehydrated. Over 60% of our bodies are water! That’s because our body needs these fluids to maintain our temperature, aid in digestion and absorption as well as assist in the transportation of nutrients. Did you know though that about 20% of our fluid intake comes from food! A great way to keep hydrated without even trying is to eat your water! • Cucumbers: Made up of 95% water, a cup of cucumber slices is nearly as thirst-quenching as a glass of water.At 95 percent water content, a cup of cucumber slices is nearly as thirst-quenching as a glass of water. • Salad Greens: Aside from being a great way to cram in some vegetables, greens also are more than 90% water. They are packed with nutrients, such as folate, vitamin C and fiber! • Watermelon: At 92% water, hence the name, watermelon is a good source of vitamin C and, when it’s red (some are orange or yellow), also has lycopene, an antioxidant that may help protect against heart disease and some types of cancer. • Yogurt: Depending on your preferred type, regular plain yogurt can be 85 to 88% water. You’ll also get calcium, some B vitamins and some good-for-you probiotics! • Papaya: Made up of 88 % water, this fruit will help you stay hydrated and provide a delicious snack! Better yet, 1 cup delivers 3 grams of fiber for just 55 calories. • Butternut Pumpkin: This sweet and nutty pumpkin is 80% water. A cup of cooked butternut also boasts over 400% of your daily value for vitamin A, a key nutrient for eye health. All these foods will help you not only keep hydrated but also provide your body with essential nutrients. Remember though the very best way to stay hydrated is by drinking Aussie Natural Spring Water regularly. Get a water cooler in your home or office for just $9 a month! Contact Aussie today and take advantage of our special offers.